from 160 pcs. 0,38 EUR ea. 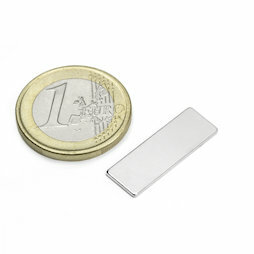 An extremely thin block magnet with an adhesive force of about 1 kg. Since it is so thin it is very susceptible to breaking. Handle with much care.